There are thousands of Christmas cards online and in stores for purchase. Many of them display enormous creativity. But you have imagination, too. And when you make your own Christmas card it's guaranteed to be unique. Often, these are limited to printing a family photo onto the card. But let yourself loose and design a truly different card. There are two basic ways to go about it, the two already hinted at: online and hardcopy. But even the hardcopy route need not be limited to hand making a card. You can still use the computer if that's where your skills lie. If you want to make a completely virtual card, your options are practically unlimited. There are dozens of sites that have templates from which you can choose. But better still is the huge array of clipart that you can take advantage of to design any kind of card you want. For those with the interest and ability, you can make a card from scratch. Microsoft Publisher and many other drawing programs provide tools to select, mix and match, or draw from scratch a wide range of cards. 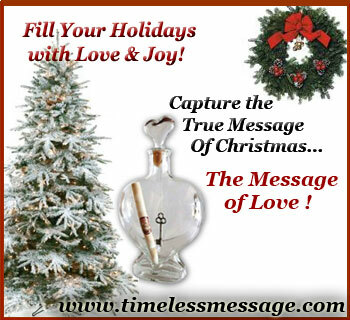 You can create your own Christmas-themed logo, add self-written text and voila - your own individual card. Email it or print it on card stock and send it out to all your friends and family. If you choose to go the hardcopy route, there are two basic options within this category, as well. You can design the card on the computer then print it out on card stock, as described above. Or, you can obtain the right materials and create the card completely from scratch. There are several material options for a Christmas card. Basic card stock is sturdy, easily folded, and absorbs ink and glue well. But you can go with parchment for a more delicate look. Or, select a paper already printed with an elaborate design to which you add images and text of your own. Christmas cards don't have to be completely two dimensional either. With clever cutting techniques you can make a fold-out display in the shape of a skyline, an animal, a Nativity scene and others. Just fold the paper into four sections and draw the outline of the scene upside down on the two inner surfaces. Then cut carefully along the outline. When you separate the two outer parts, the inner parts will lift up, showing your scene. Images don't have to be limited to ink or paint, though those are fine choices. You can spray or apply glue to sections of the card in the shape of a logo or text. Then, sprinkle small confetti, glitter or other materials onto the surface. Allow it to dry and then shake the card to dislodge the parts not glued down. For those who have the time and talent, drawing an image is very satisfying. Your own miniature pencil, ink or painted scene can be abstract or representational. You can draw a family member, a pet, a Christmas scene or any of the thousands more that flood your mind. The power of art is at your command to create meaning for you and your recipient.